When the complete company was announced, I couldn’t help but notice there were a few fetching young Englishmen about to be covered in dwarven prosthetic. What a shame. They weren’t even going to get the swooning Merry and Pippin did. 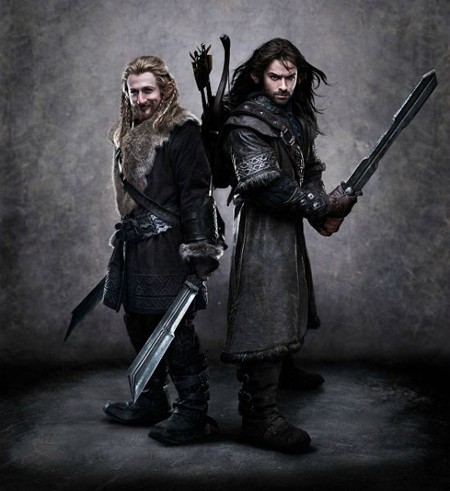 Today, we get to see Dean O’ Gorman as Fili and Aidan Turner as Kili and…well, they’re kind of hot. They look like guys I’d let buy me a drink at the Renaissance Faire — or rather, the guys I wish would buy me a beer, but never do, so I buy my own and feel bad about myself. I’ve said too much. Here’s the photo, which premiered on MSN. 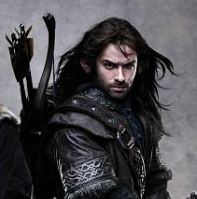 Peter Jackson will have the repeat fangirl attendees locked down, especially with Turner.